"The playing is the best I’ve heard from the series and the sound is up there, too." "... Takuo Yuasa proves a keen advocate for the music of his homeland ... (the orchestra) plays with great skill and conviction ... recording is outstanding." "(The symphony) is astonishingly conservative, frequently sounding something like Grieg, but that also means it will be enjoyed by generalist audiences for its melodious colours and emotional straightforwardness. This is especially true of the first movement, which has a glorious 'good times' feel: no wonder it was also known as the Celebration Symphony." 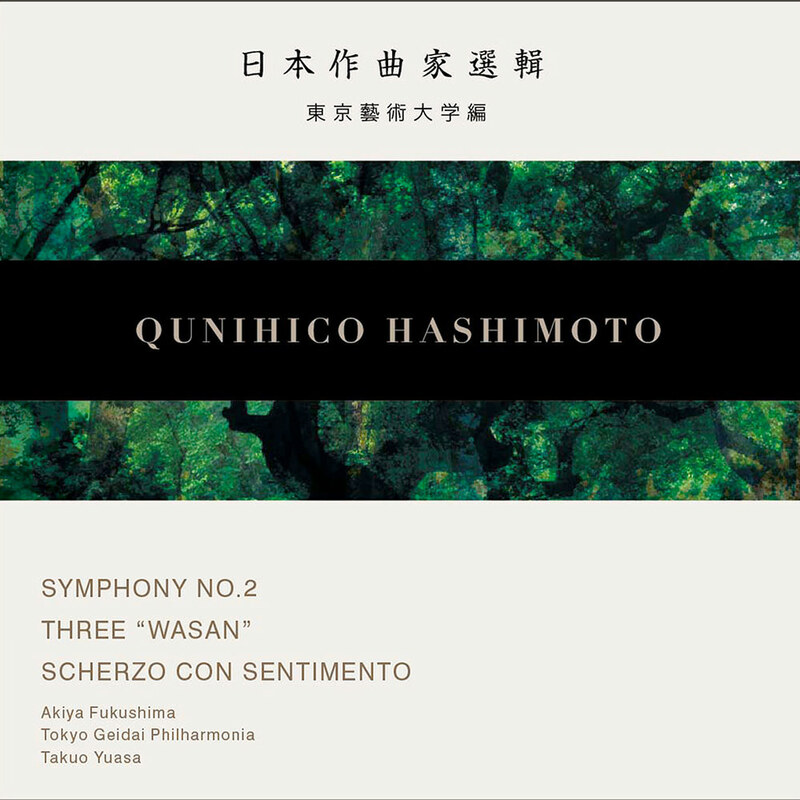 With this release, the Tokyo Geidai Philharmonia pays tribute to Qunihico Hashimoto, one of the leading Japanese composers of the first half of the 20th century. His synthesis of Japanese and European musical forms was founded on two years of study and travel in the West and is best represented here by the innovative, early Scherzo con sentimento. Receiving world premieres are the jubilant and nostalgic Symphony No. 2 and Three Wasan, featuring baritone Akiya Fukushima, setting Buddhist texts describing the beauty of pure land or heaven.